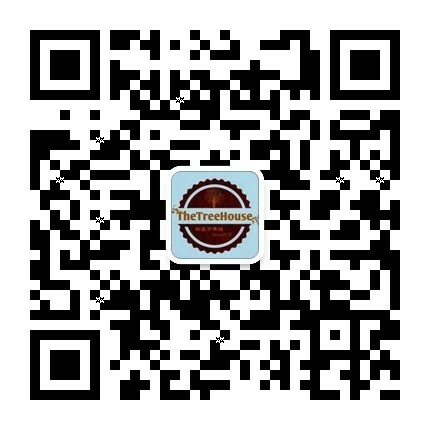 第八十四期杂志——《以黑人女性形象重绘<创造亚当>》 - 英语双语杂志(更新中) - 树屋经典影视论坛 - Powered by Discuz! This is Harmonia Rosales, a 33-year-oldartist living in Chicago. She's been in tune with herabilities since she was very young. "I've been creating art since my motorskills kicked in," she told BuzzFeed News. "I was raised in a creativeenvironment," she said. Rosales also noted that "artistic expressionwas floating in the air" in her household growing up. Her mother is anartist and her father, a musically inclined guy, played the congas. Rosales credited her parents for sparking herinterest in the arts. "Kids imitate their parents and my parents weregreat models for me. I repeated visuals of my mother hunched over her art tablechurning out illustration after illustration starting with a blank canvas and avision of a full one. I often would crawl under my mother's art table and trackher movements, her brushstrokes, her ideas, her illustrations. She would let meexperiment with all her expensive oils and brushes, never once telling me whatto paint or how, but letting me find my own style." One of Rosales' pieces, which she calls"The Creation of God" recently went viral. The piece is based on Michelangelo 's"The Creation of Adam," famously displayed in the Sistine Chapel. 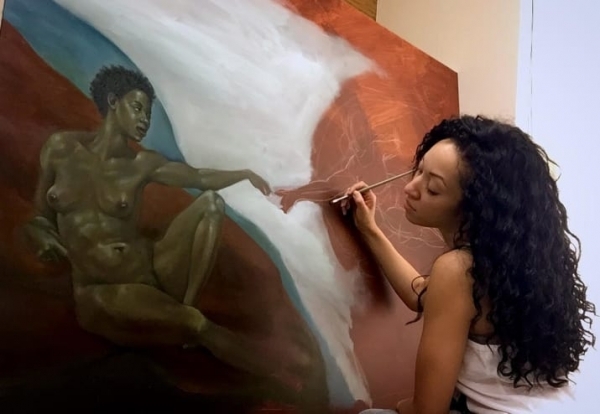 "I wanted to take a significant painting, a widely recognized paintingthat subconsciously or consciously conditions us to see white male figures aspowerful and authoritative and flip the script, establish a counternarrative," she told BuzzFeed News, elaborating on why she decided to makereimagine the well-known work of art with black women. Says Rosales, "White figures are astaple in classic art featured in major museums. They are the 'masters' of themasterpieces. Why should that continue?" "Replacing the white male figures — themost represented— with people I believe have been the least represented canbegin to recondition our minds to accept new concepts of human value. ... If Ican touch even a small group of people and empower them through the power ofart, then I've succeeded in helping to change the way we see the world. ... Andwhen you consider that all human life came out of Africa, the Garden of Edenand all, then it only makes sense to paint God as a black woman, sparking lifein her own image." "In the essence of Picasso, my whole life," Rosales said when asked how long it tookher to create her latest piece. "Every skill, life experience, and emotionhas led me straight to this particular piece and every piece thereafter." And the way in which her ideas form, and theway she's acted on them, is a very organic process. "I have an idea, it might not be fullythought out, but first the idea. Then I let it marinate. Often I'll place ablank canvas by my bed so that I may wake up and sleep to it. And, while Isleep, it speaks to me," Rosales said. She also said that she doesn'tsketch her creations, everything happens at once on the canvas by which theyare brought to life. "My subjects morph and their expressions change asthey speak to me and reveal themselves to me. Sometimes I will go over an areamultiple times until they virtually come to life." Rosales' work definitely has a recurringtheme: women of color. "I paint women darker then me because I want no oneto mistake who I'm representing. I paint what I know, who I identifywith," she told BuzzFeed News. "We have beenunderrepresented and misrepresented for so long that I feel I should paint toempower us. We need powerful images for our youth tosee." Herdaughter is another reason why Rosales is passionate about the work she does. "I want my daughter to grow up proud of her curls and coils, her brownskin, and for her to identify as a woman of color, a woman of value." "WhatI do with my art contributes to the way she and all other little girls like herwill come to recognize themselves." 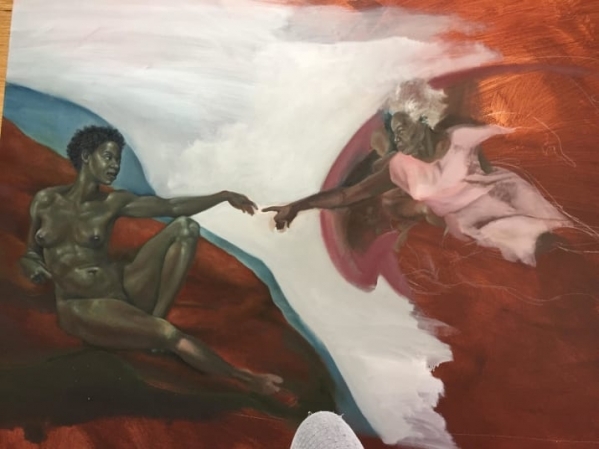 Rosales'"The Creation of God" will be part of an exhibited series in the nearfuture. Shealso plans to work with fellow artist Aldis Hodge on a series about persecutionthat will debut at the end of the year. "This particular series willrelate to the masses," she said. GMT+8, 2019-4-23 22:43 , Processed in 0.188931 second(s), 39 queries .